Series IV of the Rider Share campaign pays tribute to the Rider legacy—one that is 107 years in the making. A packed stadium awaits kick off. Fans are settled, comfortably in their new home. The stadium is filled with a familiar air of anticipation and hope. In the distance, our historic home keeps watch, passing the torch from past to future. The stadium is new, but the perspective never changes. It’s a scene of timeless commitment and infinite pride. 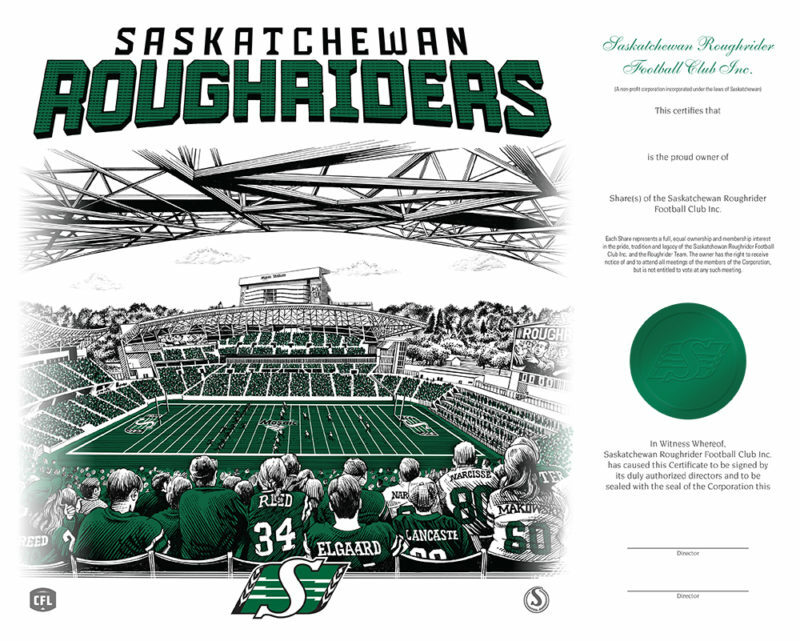 Each shareholder will receive a personalized and numbered share certificate, an owners card and window decal.